To make up for DWOTD 264. Wijf, we close the week with "dame". 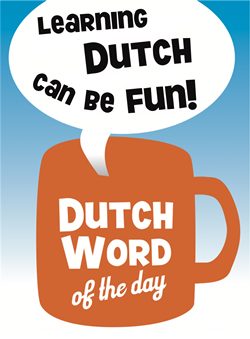 "Dame" has a very positive connotation in Dutch and evokes the association of decency and elegance. The plural "dames" is very common as a form of address, contrary to the singular "dame". Its usage is quite similar to the English lady. "Dame" can also be used for the "queen" in the game of chess. – "Dames en heren, mag ik even uw aandacht?" – "<tegen je vriendin:> Hé mooi dame!" – "Pardon, kunt u mij zeggen waar ik het damestoilet kan vinden?" – "Het buurmeisje wordt al een echte dame, vind je niet?" – "In het damestennis wordt sinds het debuut van Monica Seles flink gekreund." ("Since the debut of Monica Seles, there is considerable grunting in ladies tennis." Dutch actress and tv hostess "Linda de Mol" who is apparantly also very successful in Germany). – "Dame van lichte zeden": prostitute. Literally "Lady of easy virtue". This topic is clearly written from a male perspective. “Dame” can definately have a negative, belittling connotation. For instance, a “dame” is never considered to be very bright. “Een echte dame” is not something the girl who this refers to can take personal pride in. “Damesbladen” are filled with uninteresting crap for the not so smart ladies, a “dame van lichte zeden” is never seen as a clever businesswoman. Do your homework guys! Hi Sara, well, clearly it seems we both have a different perception of what a “dame” is. We have asked other “dames” for their opinion and did not receive the feedback you give us here. Maybe you can give us an example of when “dame” is used in the way you describe? The related word “damesblad” was not meant as an example of the meaning of the word “dame”, but as an example of how you can encounter this word. I don’t think many ladies would appreciate it if we would state out loud that it is full with uninteresting crap for the not so smart ladies. That is not for us (males) to decide nor judge. But hearing it from you as a female reader is of course very welcome. But I still have the feeling many ladies enjoy “damesbladen” whatever their level of intelligence might be. The translation of a “dame van lichte zeden” we have given, that is: “prostitute”, clearly does not evoke the association of decency and elegance, nor that of a clever businesswoman (although the latter might still be the case 🙂 .) That is why we have listed it under ‘Related words’ and not as an example of the main translation of “dame”. Your comment that a ‘dame’ is never considered to be very bright does not match my experience with the use of this term at all. Not only was I referred to as a ‘heel intelligente dame’ by my professor when I obtained my Ph.D., the fact that google provides over 1700 hits for the search term ‘intelligente dame’ clearly indicates that I am not the only one who thinks a ‘dame’ can be smart. As I said, “dame” CAN have a negative connotation. And this can occur in numerous, sometimes very subtle ways. I did not mean to say that it is always used demeaningly. However, “ze is al een hele dame” has a negative sound to it. As has the “zeg het maar dame” from the marketvendor. And Maddy, to my opinion you’ve just prooved my point with your analysis. A “heel intelligente dame” is used by your professor to express his/her wonder about how a nice girl as yourself can be smart and beautiful at the same time. Think about it. It’s not the same as a “heel intelligente vrouw”, there’s a subtle but distinct difference.